The American Red Cross (ARC) has opened a shelter in Sublette for people affected by the severe weather last night. The ARC shelter is located at the Ellice Dinges Center at 202 South West. They will be providing food, coffee, and water for emergency responders and affected residents. Both communities in Lee and Grundy County are getting better looks on damage with daylight. While the weather is clear for today, there is another weather system on Wednesday and Thursday that could bring more storms and heavy rains. We are continuing to monitor. All lanes of traffic on I55 at Reed Rd. was opened overnight. The campground is still in active search and rescue mode. Additional searches are commencing with daylight. Damage with daylight appears to be severe. As such, the State will be deploying Task Force 1 (via MABAS/fire mutual aid) – an advanced search and rescue team w/Canine. There are at least five people rescued from entrapment. Only one injury requiring ambulance transport. Others were treated on scene with minor injuries. Second, the search will commence this morning with daylight. There are 6100 lots in the campground with most having trailers. Out of the 29 campground sections, at least 17 sustained heavy damage. The primary task for this morning will be to cap leaking propane tanks (of which there are many) before bringing in chain saw crews for debris removal. Updates from the State of Illinois can be found at the Ready Illinois website. 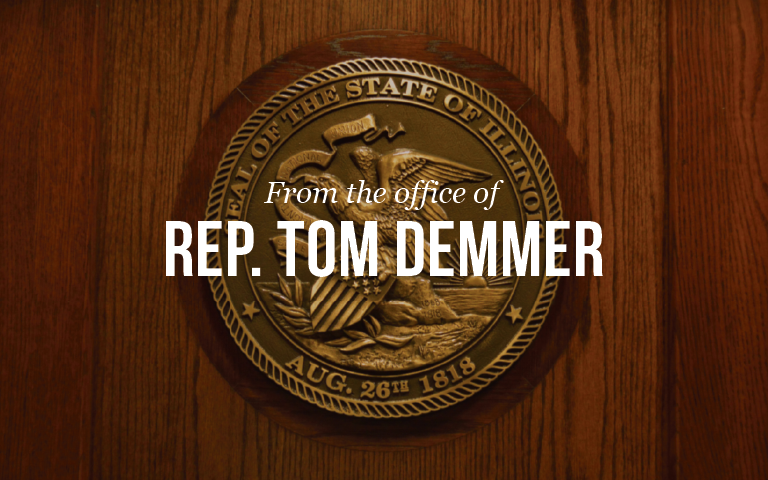 People with questions or concerns can contact Rep. Demmer’s office for further information at (815) 561-3690.